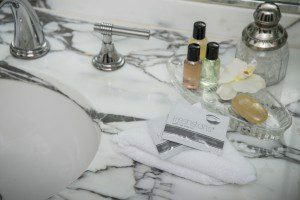 When it comes to freshening up in the bathroom, the reasons to choose flushable wipes over dry toilet paper are innumerable. For supreme cleanliness, our individually-packaged, flushable wipes, which are composed of natural ingredients including aloe, are preferred by many. But for some, Freshends are more than a personal preference; they’re a life-changing necessity. About 700,000 Americans are affected by Crohn’s disease, an inflammatory bowel disease that typically affects the end of the small intestine. For those who have this disease, dry toilet paper can cause severe irritation and damage to the skin. As one could imagine, Freshends serve as a comfortable, soothing and discreet alternative.